Homeowner had a lot of wind & hail damage. We worked with their insurance and got the roof approved for a complete new roof. 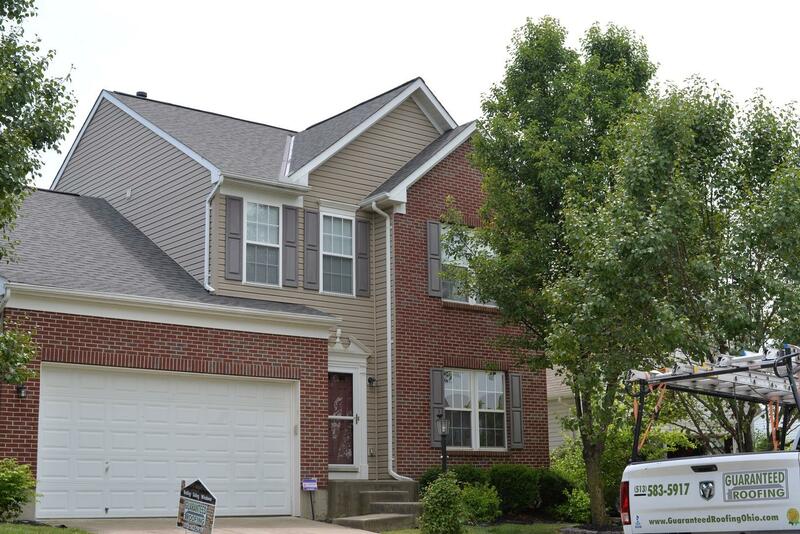 This was a complete new roof we did in Maineville. The homeowner was moving & had gotten insurance money to replace the roof. He had gotten three bids, he decided to go with Guaranteed Roofing (even though we weren't the cheapest) because he knew we would do a thorough job from start to finish. Complete new roof with synthetic felt, ice guard, ridge vents, pipe flashing & lifetime shingles. 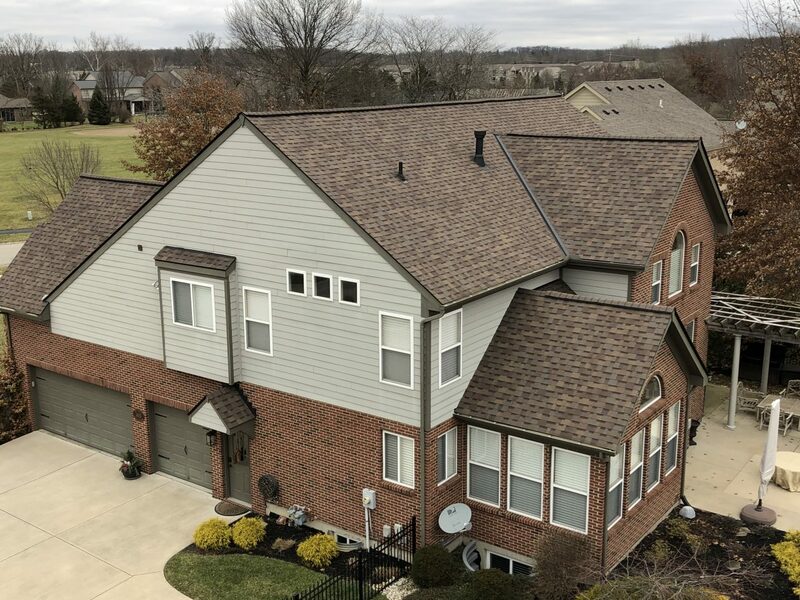 This homeowner was looking for a local roofing company in Maineville Ohio, so she contacted Guaranteed Roofing to check the roof for wind or hail damage since she saw some shingles missing & had a leak. We set up an appointment, inspected her roof & showed her pictures of what we found. We helped her work with her insurance company to get a complete new roof. 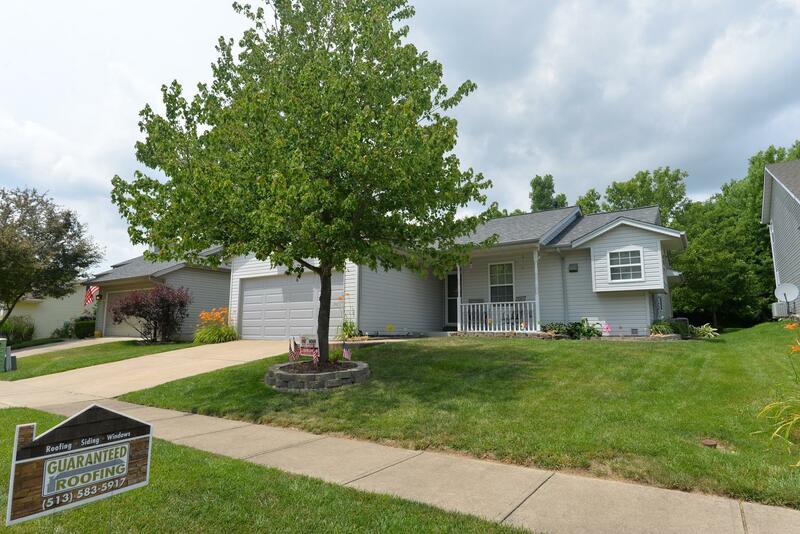 We upgraded the entire roof to an Owens Corning roofing system. This Maineville homeowner needed a new roof because the original roof of the house was getting close to twenty years old & was starting to show it’s age. 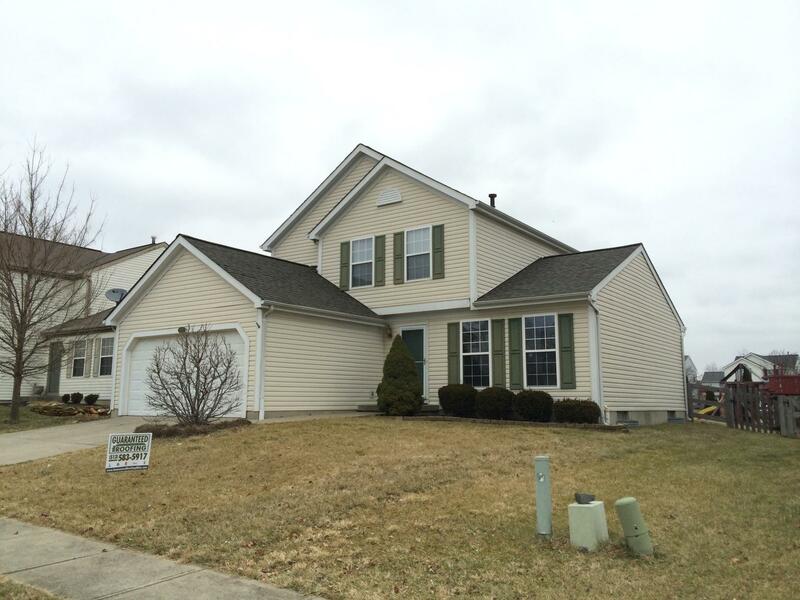 We installed a complete new Owens Corning roofing system on his house. The job took a day & a half. When we do a job, it’s not just how fast we can do it, but how good & clean of a job we can do! Severe weather is not uncommon in the state of Ohio, and Maineville is no exception. That’s why homeowners in the Maineville Ohio area need a roof that will stay sturdy and secure through rain, snow, and anything else the weather might bring. Guaranteed Roofing is a professional roofing company with decades of experience providing roof repair and maintenance as well as complete roof replacement for Maineville Ohio homeowners. We guarantee skilled craftsmanship and high-quality materials with lifetime warranties. We are an Owens Corning Preferred roofer with an A+ rating from the Better Business Bureau. When you work with us, we will ensure that your roofing system stays durable and weatherproof for the long-term. Guaranteed Roofing provides roof leak repair, ridge vents and ventilation, hail damage repair, and more for Maineville homeowners. Along with our roof repair and maintenance services, we also offer new roof installation as well as replacement roofs for badly damaged or aging roofing systems. Our highly trained roofing experts will complete a comprehensive roof inspection to assess the condition of your current roof, and if necessary we will complete an asphalt shingle roof replacement that will last for years to come. Our asphalt shingle and energy efficient shingle roofing systems are built to stay watertight and keep your home safe and dry through every season. As a CertainTeed ShingleMaster, James Hardie Preferred Contractor and Owens Corning Preferred Contractor, you can trust that we are certified and trained to take care of all of your roof repair and roof installation needs! Along with our roof repair and roof replacement services, Guaranteed Roofing also offers siding repair, fascia trim coil installation, fascia repairs, new soffit installation, soffit repairs and new siding installation. If your home has suffered from storm and wind damage, we will help repair any damage to your siding and make the process as easy as possible. We also provide steel and vinyl siding replacement. Guaranteed Roofing is an independent contractor and is not an affiliate of Owens Corning Roofing and Asphalt, LLC or its affiliated companies. THE PINK PANTHER™ & © 1964-2018 Metro-Goldwyn-Mayer Studios Inc. All Rights Reserved.